Why Should You Hire a Professional for Sewage Backup Cleanup? Events like severe rainstorms, floods, and spring thaws can strain sanitary sewers and septic systems. Large volumes of water entering these systems can overwhelm them, leading to backups into basements and residential properties. Blockages in sewage systems can occur when there is a buildup of tree roots, debris, or non-water-soluble substances like oil, grease, cat litter, and other flushed items. In the event of a sewage backup, it is imperative that you quickly contact professional sewage backup cleaning services. These professionals are trained and experienced at removing sewage backups from your home and restoring it to a safe living condition once more. If you want to know about the benefits of hiring a sewage cleanup service, here are some important points to take note of. Raw sewage carries harmful germs and bacteria that can make you extremely sick. To protect yourself and your family from these germs, it is imperative that you do not go near the sewage backup or touch the water. Call a professional sewage removal company near you and get immediate help. They have specific safety protocols and equipment to handle the job and can prevent the spread of disease by eliminating the dirty water. Sewage removal companies are equipped and trained to properly assess the situation. It can be dangerous to your health to inspect the backup on your own, so it’s best to leave it to the professionals. They will examine the surrounding pipes, tree roots, equipment, structures, and anything related to the leak. They can provide multiple additional services as well, so you can get an entire solution package from one place. They may perform flood damage restoration, mould mitigation, disaster damage restoration, and more. Companies that provide sewage backup cleanup near you have professional experience, which means they know how to handle water damage, human waste, and safe repair. They will have the expertise to ensure that all areas affected get the attention needed to prevent future problems. They can inspect areas you may not see or have access too, such as behind drywall where mould could be growing. Professionals have access to the best cleaning products and equipment. A standard vacuum or dryer cannot dry carpet or materials that got soaked from the flood, and if you’re dealing with a sewage backup situation, you must be extra careful not to touch anything in your basement until the professionals can assess. To deal with a sewage backup, the professionals have special gear and protection to prevent infection and stop the spread of any bacteria from travelling through your home. Hiring an expert as soon as you notice a sewage backup can reduce your total losses and the overall cost of cleanup and restoration. The sooner the water is removed and the area is dried, the less damage that will occur. Flooding can lead to structural damage to your home, and sewage water that sits in your home can damage flooring, walls, and furniture, and can lead to the growth of mould. Hidden hazards can also occur if water seeps in between drywall or in crevices. Repair for long-term damage can be far more expensive. As mentioned, the damage gets worse the longer the water sits in the basement. Significant damage can occur in as little as 12-24 hours, so although you may not have the flexibility to deal with it promptly, you should still contact the professionals immediately. Our 24/7 emergency teams will be dispatched to provide you with quick response actions to minimize your damage. It’s true that hiring a professional sewage backup company to clean up the sewage may not be cheap, but the cost will be significantly less than handling the damage on your own. Depending on where you live and the extent of the cleanup, the price may vary so it is a good idea to ask the professionals for an estimate when they survey the damage. Check with your homeowner’s insurance to find out what your coverages are. Accidents can happen anytime–when you’re at work or sleeping at night. If something happens at 2:00 in the morning, it can be stressful to find a solution, and that’s why our cleaning services are available 24/7. Sewage backups in your basement can cause serious damage to your home and personal property, and if left unattended they can cause serious health risks to you and your family. Seeking immediate sewage backup cleanup can prevent this, so if you notice your basement is being flooded by sewer water, contact the professionals immediately. If you require urgent basement sewage backup cleaning in Toronto, Flood Services Canada can help you. 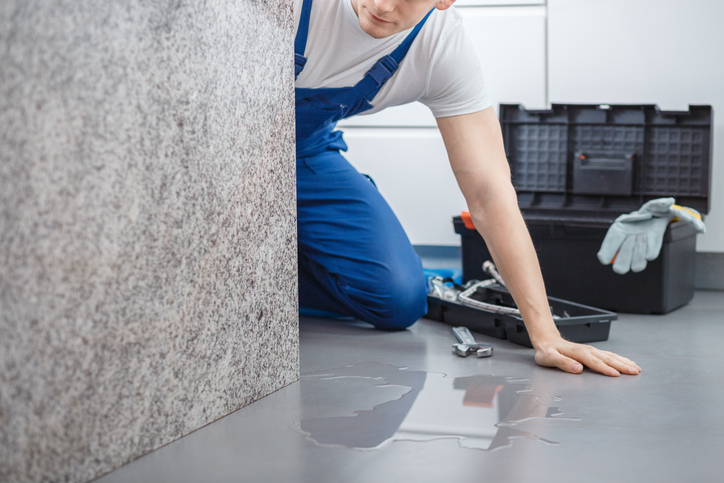 It may be possible to handle a situation such as an overflown toilet on your own, but serious forms of sewage backup require professional remediation. Our 24/7 service teams are ready to provide you with quick-response action to minimize damage. We provide thorough structural drying, decontamination, deodorization, and debris removal to get your home back to a safe and functional environment. Contact us at (416) 302-2107 to learn more about how to protect your property, or if you are experiencing an emergency, call our hotline at (416) 999-3930. Our rapid response team will quickly deploy to your area to assess the situation and get you the help you need.